Karl Koehler, chief executive of Tata Steel's European operations met with members of the All-Party Parliamentary Group (APPG) on Steel and MPs from steelmaking areas yesterday to discuss the proposed changes to the company's UK pension arrangements. The meeting comes after steel unions agreed Monday June 22 as the date for strike action with members standing up for their pensions, hoping to get Tata back round the table to look for a way to resolve the dispute over the changes. 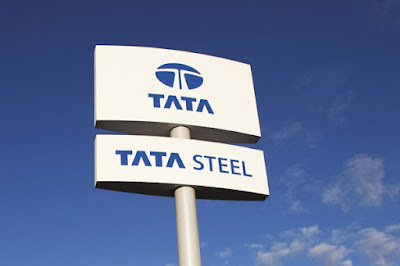 Tata Steel began a statutory 60-day consultation about changes to its pension scheme, which include closing the British Steel Pension Scheme (BSPS) to future accrual, in March and the company is proposing closure of the scheme on April 1 2016. To pay for a deficit in the pension scheme, the company proposed to introduce a cap on pensionable earnings and end the early retirement provisions whereby members can retire at 60 with a full pension. Under the company's proposals, after a short period of phasing, members wishing to retire at 60 would have their pension reduced by 25%. Earlier in the day, Tom Blenkinsop, Chair of the Steel APPG used Prime Minister's Questions to ask David Cameron: "to demand that Tata get back around the negotiating table, re-engage in meaningful consultation with the trade unions and stop Tata from playing fast and loose with its own employees' pensions." In response, the prime minster said: "Of course I hope that the parties will return to the negotiating table to find a solution as quickly as possible, but ultimately this is a matter for Tata Steel and for the trade unions, and I would urge them to do as I have said." At the beginning of June, the APPG on Steel, the group of MPs that liaises with and lobbies the government on steel issues, invited the chief executive of Tata Steel Europe to brief the group on the potential for the first steel strike in 30 years. The APPG was informed by Tata Steel that they would be sending a small team of more junior executives to the meeting and the APPG decided unanimously to cancel the meeting. Koehler met with MPs yesterday with Rotherham MP, Sarah Champion, who is backing the steelworkers, saying on Twitter: "Never seen SO many MPs in a meeting as the APPG steel meeting with TATA CEO today. Hopefully given strong message that we want a solution!" A Tata Steel spokesman said last night: "Karl Koehler, chief executive of Tata Steel's European operations, today met MPs in the All Party Parliamentary Group for Steel following an invitation to discuss the proposed changes to the company's UK pension arrangements. "During the meeting Mr Koehler explained the context behind the company's continuing efforts to develop a fair and sustainable pension scheme for UK employees. The scheme is faced with a projected shortfall of up to £2 billion, which both the company and the unions agree makes change necessary. "In a robust and constructive dialogue Mr Koehler answered all the questions MPs asked him. He assured them the company shares their concerns about potential industrial action, particularly in view of the urgent need to continue the focus on investing in Tata Steel's UK assets. "Mr Koehler also reiterated that the company remains open even at this late stage to unconditional talks with the unions to find resolutions in good faith to the very serious challenges that require the pension scheme to be reformed. But he stressed that decisions on dealing with these challenges must be made imminently. "We have over the last few months listened carefully to our employees during an extensive consultation process involving thousands of employees. In response to this feedback, we will soon be announcing new measures which will lessen the impact of the proposed pension changes, particularly on our longest-serving employees nearing retirement age. "We hope that these important changes to our proposals will be welcomed by employees and that the trade unions reconsider industrial action." Over 2,000 people are employed by the company in South Yorkshire and the Indian-owned steelmaker has a number of operations in Rotherham. Unions have agreed that the proposed strike action will be preceded by action short of strike action involving an overtime ban and a work to rule. Unions must give seven days' notice of any industrial action.